When you click it will bring you to a page on their site that lists all their current coupons both in store and online. Save up to 25% or get free shipping on select gifts. In Store & Online: Sign up to get emails from Harry and David and receive a 15% coupon instantly. Their newsletter is at the bottom of their homepage. Your 15% coupon will look like this. Every coupon has a different bar code. 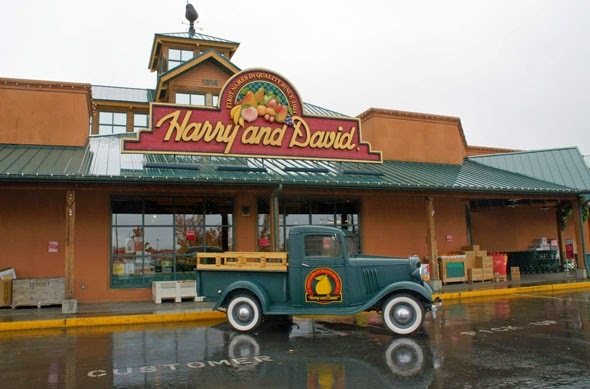 Exclusive Printable Coupon: Print and present this coupon or show on smartphone to save 20% on your product purchase in a Harry and David retail store, cashier will scan bar code. Print and present the coupon and save 15% on your product purchase in a Harry and David retail stores only, no minimum purchase required. Shop Harry and David retail stores in Tanger Outlet Centers and get $10 off when you spend $35 or more. Coupon is required for discount. Present the email and save $5 off your product purchase of $5 or more. Print coupon for a 15% discount on your next in-store purchase at your local Harry and David store. Harry &amp; David offers gourmet foods and fresh fruit gifts that are a very popular choice for birthday gifts, holiday gifts, corporate gifts and any special occasion. Each food basket gift is hand-packed with the highest quality gourmet foods, fresh fruits, and snacks. Enjoy your savings with our Harry and David coupons and discount promo deals.